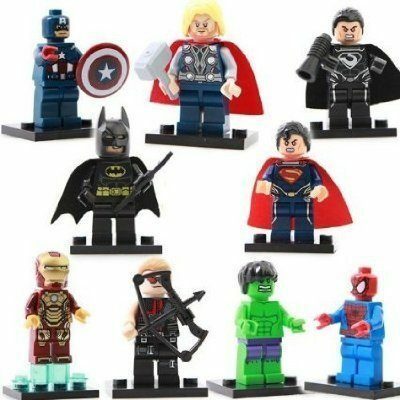 Super Heroes Minifigures Mixed Set of 9 Only $6.61 Plus FREE Shipping! You are here: Home / Great Deals / Amazon Deals / Super Heroes Minifigures Mixed Set of 9 Only $6.61 Plus FREE Shipping! The Super Heroes are here to save us! Characters are from the mixed realms of Marvel and DC! Your kids will be able to battle villains all day long! Get the Super Heroes Minifigures Mixed Set of 9 for Only $6.61 Plus FREE Shipping!